SAN FRANCISCO CA, July 24 2018 – Life just got a whole lot easier for the millions of people who use the industry-leading apps and services delivered by Cisco Collaboration and Google Cloud. As part of our deepening alliance, Cisco is announcing its first wave of collaboration integrations with Google products. This goes far beyond merely making sure our calling, email, document collaboration, and customer service products work together. The goal is to help people be much more efficient so they can do their jobs better. At Cisco, we believe artificial intelligence and machine learning will dramatically change the way we work. As we create that new future, we are exploring how AI services from Google Cloud Platform can help us expand collaboration capabilities. - Give your contact center agents an AI-enhanced assist so they can answer questions quicker and better. More than three million customer service agents globally use Cisco contact center software. We want to make their interactions the best they can possibly be. 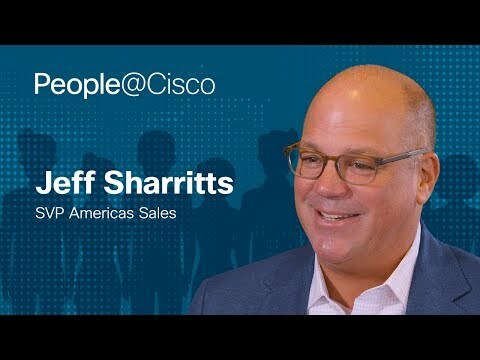 So we are adding Google Artificial Intelligence (AI) to our Cisco Customer Journey Solutions via Google Cloud's new Contact Center AI solution. Contact Center AI is a simple, secure, and flexible solution that allows enterprises with limited machine learning expertise to deploy AI in their contact centers. The AI automatically provides agents with relevant documents to help guide conversations and continuously learns in order to deliver increasingly more relevant information over time. 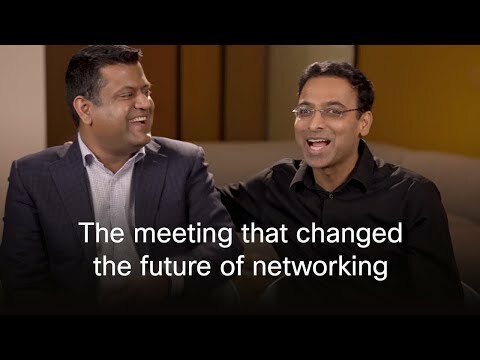 This combination of Google's powerful AI capabilities with Cisco's large global reach can dramatically enhance the way companies interact with their customers. - Schedule a Webex meeting within your Google Calendar with one click. With an add-on from G Suite in the coming months, you'll see the Webex Meetings icon every time you schedule a meeting in Google Calendar. Click it to set up your video-first Webex meeting for the people and rooms you need, and let the technology do the rest. People join from a Cisco video device by simply pushing the big green "join" button. Or from a Chrome browser with just one click- no downloads or guest accounts required. While different companies created the tools, it will now feel like they were built to work together. Making meetings easier to schedule and join is only part of the problem we're solving. We will jointly explore using Google AI for capabilities such as transcription, translation, meeting summaries and task management to ensure what's discussed becomes more actionable for everyone whether they were there or not. - Add Cisco calling and meetings into your Android app. Thanks to the Webex Teams Android SDK, developers can easily add Cisco collaboration capabilities into their Android apps. For example, you could add Cisco video meetings into smart glasses for a "see what I see" experience between, say, an expert on land and an engineer on a ship in the middle of the ocean. - Use Google Docs, Sheets, Slides and Forms in your Webex Teams Spaces. As people collaborate on content more and more, Cisco and Google are exploring ways to make the job easier. No more endless reposting of documents as people layer on new rounds of edits. Post it once, edit it as many times as you need, or co-collaborate on content to get things done even faster. Everyone always has the latest and greatest version. "Together, Cisco and Google Cloud can drive significant value for our customers," said Amy Chang, SVP, Cisco Collaboration. "We're excited about these initial integrations and what's to come as we work together to improve the future of work. This is just the beginning." Cisco (NASDAQ: CSCO) powers the world's Internet experiences. We securely connect people, processes, data and things to enable innovation that benefits business and society. For more information, visit: http://thenetwork.cisco.com.